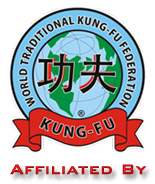 Every year the Wushu KungFu Federation of India recognizes the outstanding individuals who have contributed to the continued growth of our Arts whether through teaching, promoting competitions and events, volunteering or competing as an athlete. They have demonstrated remarkable achievements and promoted excellence in their respective field. WKFI is pleased to recognize these individuals and their efforts. They have helped our community grow tremendously for the last decade.